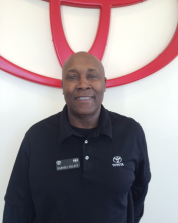 At Toyota of Elizabeth City, your time is valuable to us. That’s why our dealership provides a host of amenities to create a pleasant experience while you are here. We offer complimentary WiFi, coffee, and bottled water while you wait. We also extend a TV room and children’s play area for the comfort of you and your kids. If you do not have the time to wait while our team of trained mechanics diagnoses and repairs your Toyota, we provide local shuttle service as well as Mobile ToyotaCare Service Vehicle in case you need a temporary vehicle. If your Toyota is producing a strange noise or there is a warning light on the dashboard, your car may be due for service. If that is the case, our team of trained mechanics will swap out old filters, install new pads and rotors, and tighten the serpentine belt. We realize you are on a budget and may be interested to know what service specials we provide. If a piece of your Toyota car, truck, SUV, or hybrid is not operating properly, it may need to be replaced. At Toyota of Elizabeth City, we use genuine, Toyota factory parts. So drive in for service at Toyota of Elizabeth City near Virginia Beach, VA.